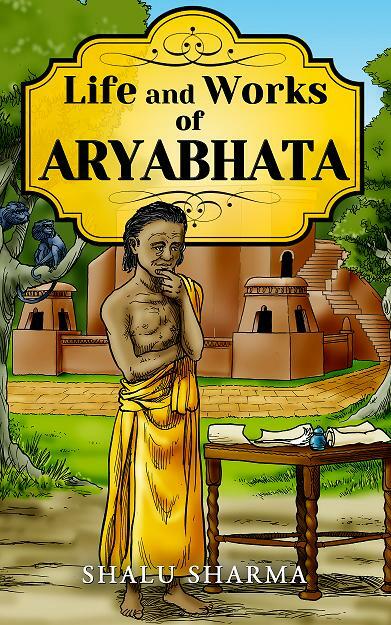 A book, “Life and Works of Aryabhata Book” published by Shalu Sharma – now available on Amazon. Jan. 17, 2014 - PRLog -- A new book is now available on Amazon on the life and works of Aryabhata, the Indian mathematician and astronomer. There is a lot of confusion about this scientist. We don’t know much about his birth, or his name or where he exactly came from. There is some confusion about his inventions too. For example, some say that he invented zero. However, this is not the case; he was one of the first ones to use the concept of zero but did not invent the zero. Hence this book looks at his life and works. Aryabhata was an Indian mathematician and astronomer who lived between the years of 476–550 during the period of the famous classical Gupta Dynasty. It is said that during these years, India witnessed a golden period of great cultural growth and made great strides in mathematics, astronomy and literature in India. One such mathematician and astronomer of this age was Aryabhata. Not much is known about this person. In fact, we don’t even know his name properly. For example there is a lot of confusion if his name was Aryabhata or Aryabhatta with a double “t”. We also don’t know where he came from. Some say that he was from Bihar while some are of the view that he was from Maharashtra and some even claim he was from Kerala. We cannot be certain where exactly he was from. But we do know from this own writings that he was the head of Nalanda University an ancient university of that time that was considered a great seat of learning. It is thought that he was teaching maths and astronomy. When he was just 29 years old he wrote one of his most famous works called the Aryabhatiya and another popular book of which little remains, the Arya-siddhanta. This book tries to look at the life of Aryabhata and the works he did and compares his works with other mathematicians and astronomers of his period. Topics covered in the "Life and Works of Aryabhata"